another dish i did when my friends gathered at my place to relish hong kong food fun moments on 20.1.2016 was Samgyetang (Korean Ginseng Chicken Soup). the soup was very intense, sweet & flavourful. chicken was tender & the glutinous rice added an interesting texture. this something i always like, similar to the indian mulligatawny soup which i like. my chicken soup was also very tasty (though maybe still not as intense as the wonderful glutinous stuffed chicken soup we had at tao hueng tsimshatsui), & chicken very tender as my friends noted. i stuffed the chicken with 3 tbsp glutinous rice (soaked in water for 1 hr according to one internet samgyaetang recipe), 3 cloves garlic & 3 dried red dates, cut ginger, 2 spring onions. i boiled the small 1kg chicken with chicken stock i made the day before, added 3 more red dates & sliced ginger & spring onions, salt (to taste) & boiled medium for 45mins, then turned over medium low for 30mins. seems that the glutinous rice in the koreanbapsang internet recipe was too little, would have been better with more so texture of soup will be better. will try 1/2 cup next time. stuff small 1kg chicken with 1/2 cup glutinous rice (soaked in water for 1 hr), 3 cloves garlic, 3 dried red dates, cut ginger, 2 spring onions. tie legs with kitchen twine. 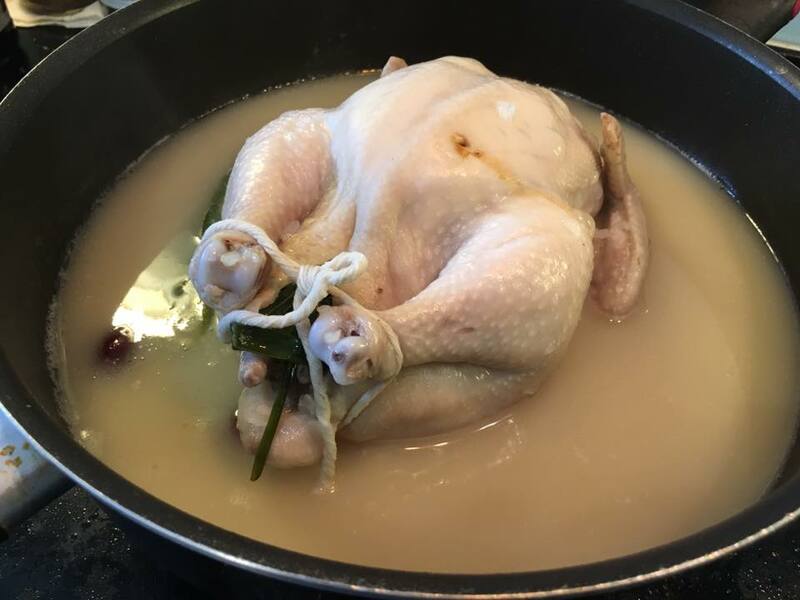 boil chicken with 5 cups chicken stock, add 3 more red dates, cut ginger & spring onions, salt (to taste) & boil medium for 45mins, then turn over medium low for 30mins. 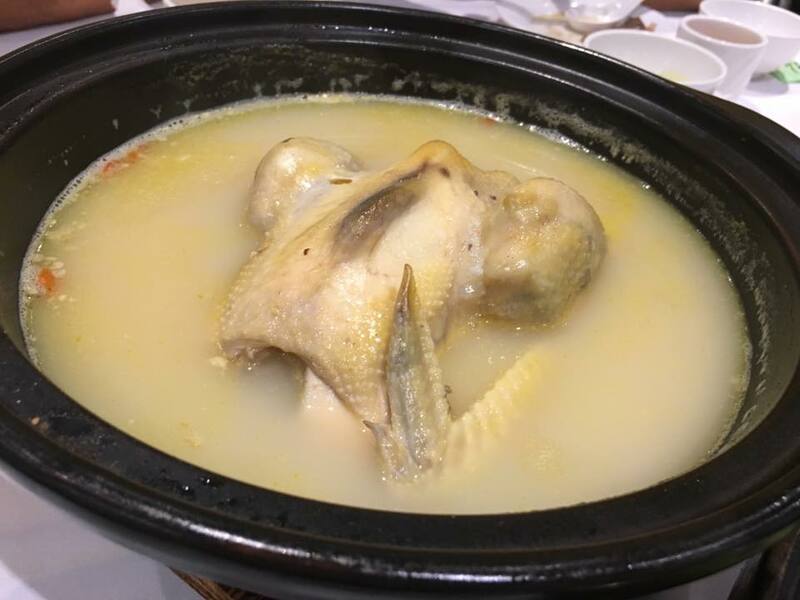 This entry was posted in Recipes and tagged 稻香, glutinous rice stuffed chicken soup, hong kong eat & hike 10-14Jan2016, 삼계탕, Korean Ginseng Chicken Soup, mulligatawny soup, Samgyetang, Tao Heung, tsimshatsui, 参鸡汤. Bookmark the permalink.